Happy Tuesday! 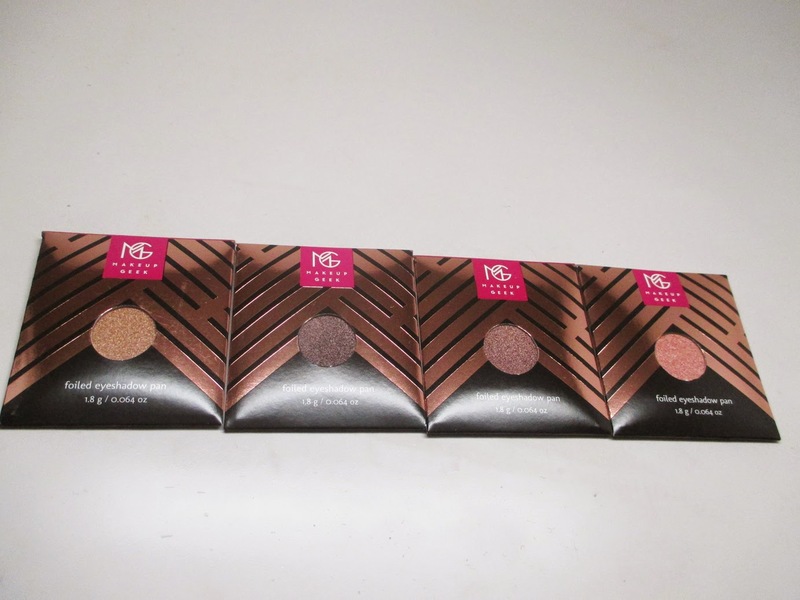 Back in December I picked up some of the new Makeup Geek Foiled eyeshadows. I really fell in love with the swatches I saw online and on YouTube. Well I finally got around to playing with them - check out my first impression! 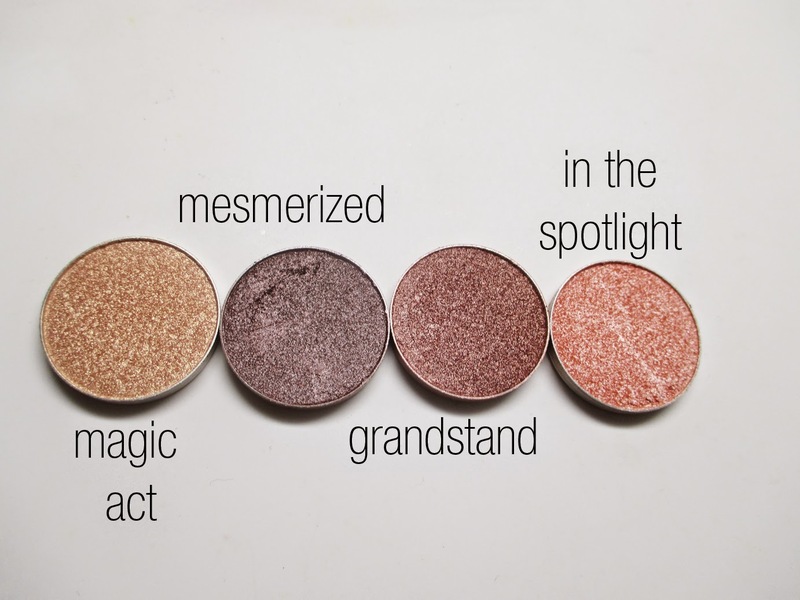 There are 10 shades to choose from in the Makeup Geek Foiled Eyeshadows Line. They retail for $9.99 each. I just picked up four of the shades - i'm a fan of the warm toned neutrals. As usual, the product comes in pan form. 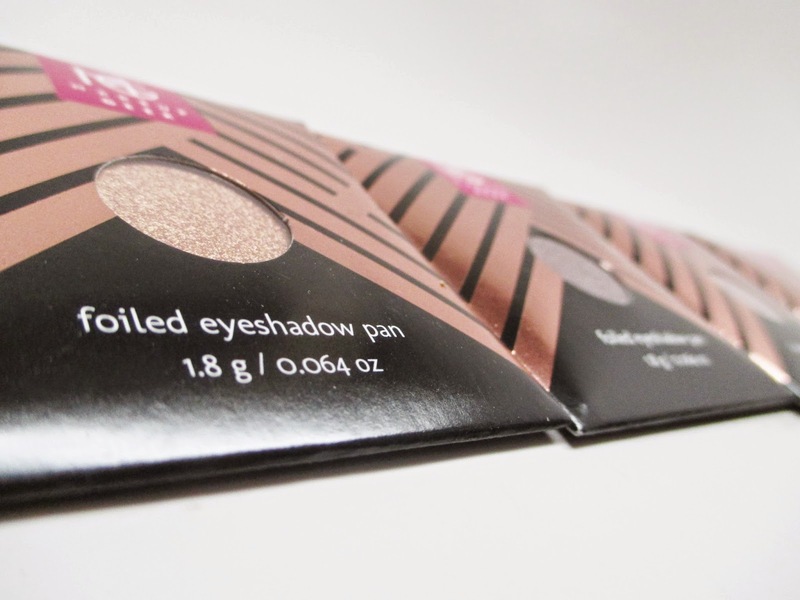 Makeup Geek produced special packaging with a rose gold cardboard sleeve - very chic! 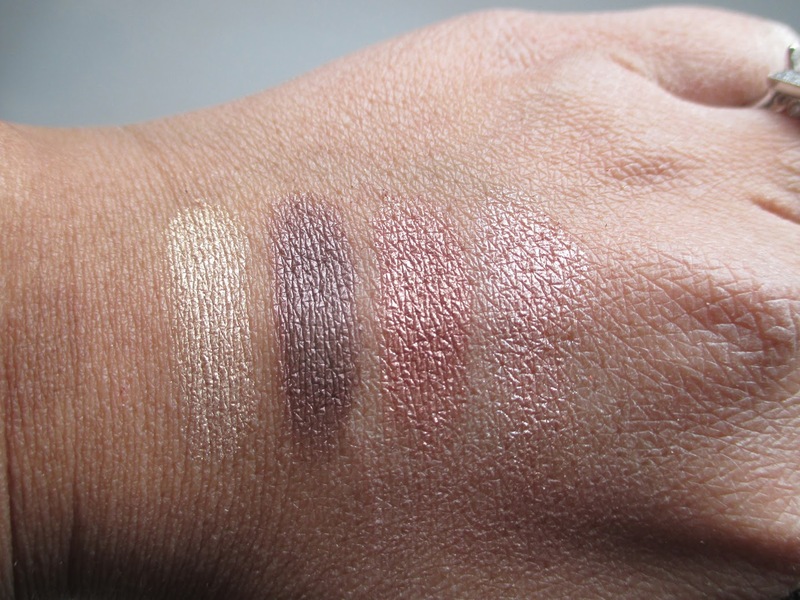 These are the four shades I picked up - I thought they were very wearable and I love the metallic earth tones. I wasn't sure what to expect from the formulation. 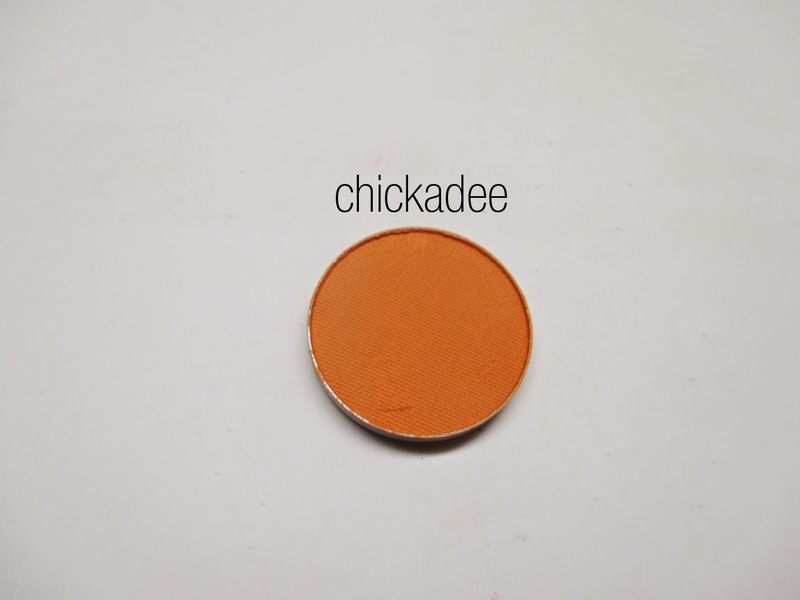 I thought it might be a semi-cream state but actually it's just like a regular powder eyeshadow but very smooth, metallic and pigmented. I guess I was expecting a really unique formula because I've seen this kind of eyeshadow before. I plan on doing a video on comparisons as well as a tutorial. All in all I do think the shadows are nice quality but I think my expectations were super high. I also picked up chickadee. I'm a fan of the regular line and I heard great things about this color. I think it'd be great for warming up the crease. 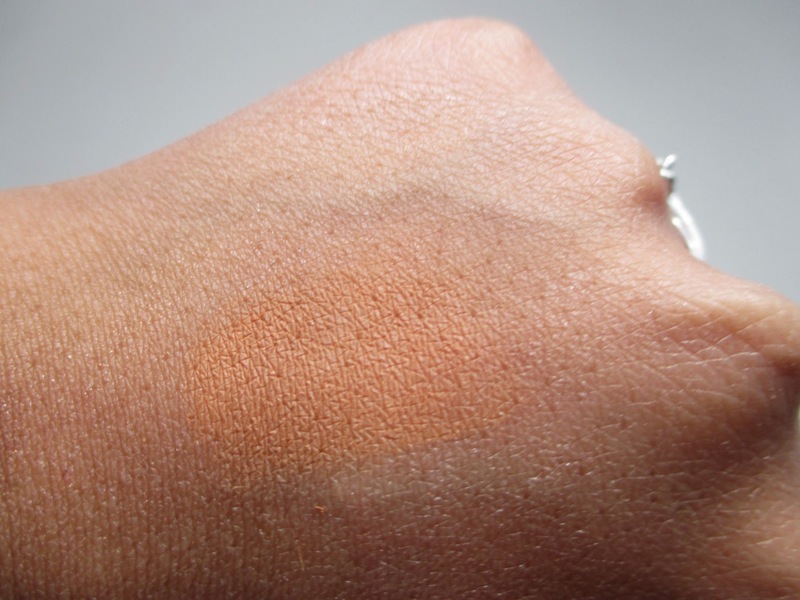 The swatch was decent - medium pigmentation, not chalky, but also not quite as impressive as some of the other mattes in the line. I'll be incorporting this shadow into future looks before I give a final review. Hope you guys enjoyed my mini review. I created a look using the foiled eyeshadows which will be posted tomorrow. Stay tuned! Those are really pretty. They look like the pressed pigments by L'Oreal.